Erasmus of the Kyivan Caves (1160); February 24. 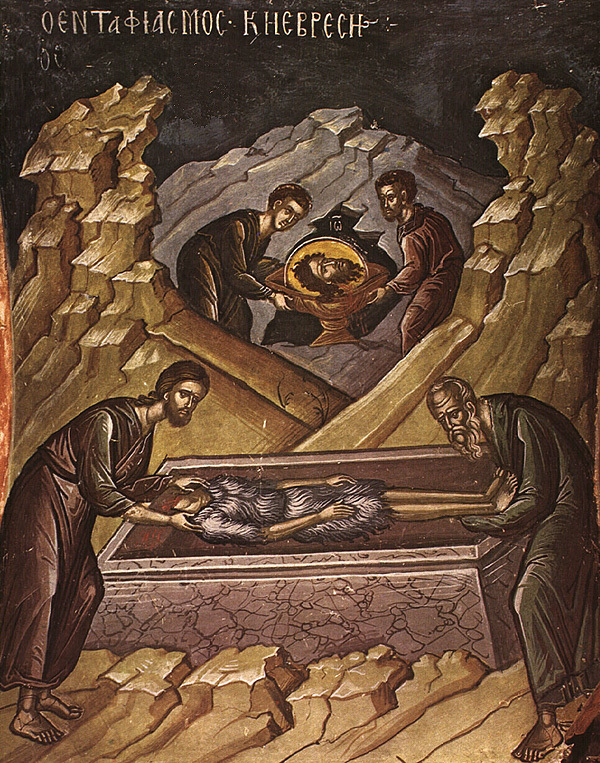 Troparion (Tone 6): Angelic powers were upon Your tomb* and the guards became like dead men;* Mary stood before Your tomb* seeking Your most pure body. * You captured Hades without being overcome by it. * You met the Virgin and granted life. * O Lord, risen from the dead,* glory be to You. Troparion (Tone 4): The head of the Forerunner has dawned from the earth* shedding rays of incorruption and healing on those who believe;* from on high it assembles the multitude of angels,* from below it summons the human race* to glorify Christ God with one voice. 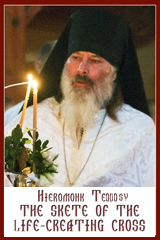 Troparion (Tone 8): Light of orthodoxy, teacher of the Church; its confirmation! * Ideal of monks and invincible champion of theologians. * Wonder-working Gregory, glory of Thessalonica and preacher of grace:* always intercede before the Lord that our souls may be saved! Kontakion (Tone 4): The time for action is now revealed;* the Judge is at the door. * Let us rise then and keep the fast,* offering tears of contrition with alms and crying aloud:* Our sins are more numerous than the sands of the sea,* but forgive us, O Maker of all, that we may receive incorruptible crowns. Kontakion (Tone 2): O Forerunner of Grace and prophet of God,* having obtained your head from the earth like a sacred rose,* we always receive gifts of healing;* for again as of old you proclaim repentance in the world. 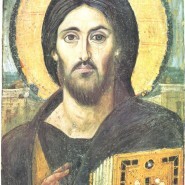 Prokeimenon (Tone 5): You, O Lord, will guard us and will keep us* from this generation, and for ever (Ps 11:8). verse:Save me, O Lord, for there is no longer left a just man (Ps 11:2). Prokeimenon (Tone 7):The just man shall be glad in the Lord and shall hope in Him. Epistle (Hebrews 1:10-2:3)(Sunday): ‘In the beginning, Lord, you founded the earth, and the heavens are the work of your hands; they will perish, but you remain; they will all wear out like clothing; like a cloak you will roll them up, and like clothing they will be changed. ‘Sit at my right hand until I make your enemies a footstool for your feet’? Are not all angels spirits in the divine service, sent to serve for the sake of those who are to inherit salvation? Therefore we must pay greater attention to what we have heard, so that we do not drift away from it. For if the message declared through angels was valid, and every transgression or disobedience received a just penalty, how can we escape if we neglect so great a salvation? It was declared at first through the Lord, and it was attested to us by those who heard him. Epistle (2 Corinthians 4:6-15)(St. John): Brethren, it is the God who said, “Let light shine out of darkness,” who has shone in our hearts to give the light of the knowledge of the glory of God in the face of Jesus Christ. But we have this treasure in clay jars, so that it may be made clear that this extraordinary power belongs to God and does not come from us. We are afflicted in every way, but not crushed; perplexed, but not driven to despair; persecuted, but not forsaken; struck down, but not destroyed; always carrying in the body the death of Jesus, so that the life of Jesus may also be made visible in our bodies. For while we live, we are always being given up to death for Jesus’ sake, so that the life of Jesus may be made visible in our mortal flesh. So death is at work in us, but life in you. But just as we have the same spirit of faith that is in accordance with scripture—“I believed, and so I spoke” —we also believe, and so we speak, because we know that the one who raised the Lord Jesus will raise us also with Jesus, and will bring us with you into his presence. Yes, everything is for your sake, so that grace, as it extends to more and more people, may increase thanksgiving, to the glory of God. Gospel: (Matthew 11:2-15)(St. John): At that time, when John heard in prison what the Messiah was doing, he sent word by his disciples and said to him, “Are you the one who is to come, or are we to wait for another?” Jesus answered them, “Go and tell John what you hear and see: the blind receive their sight, the lame walk, the lepers are cleansed, the deaf hear, the dead are raised, and the poor have good news brought to them. And blessed is anyone who takes no offense at me.” As they went away, Jesus began to speak to the crowds about John: “What did you go out into the wilderness to look at? A reed shaken by the wind? What then did you go out to see? Someone dressed in soft robes? Look, those who wear soft robes are in royal palaces. What then did you go out to see? A prophet? Yes, I tell you, and more than a prophet. This is the one about whom it is written, ‘See, I am sending my messenger ahead of you, who will prepare your way before you.’ Truly I tell you, among those born of women no one has arisen greater than John the Baptist; yet the least in the kingdom of heaven is greater than he. From the days of John the Baptist until now the kingdom of heaven has suffered violence, and the violent take it by force. For all the prophets and the law prophesied until John came; and if you are willing to accept it, he is Elijah who is to come. Let anyone with ears listen! Second Communion Verse:The just man shall be in everlasting remembrance;* of evil hearsay he shall have no fear (Ps 111:6-7). Alleluia! (3x).